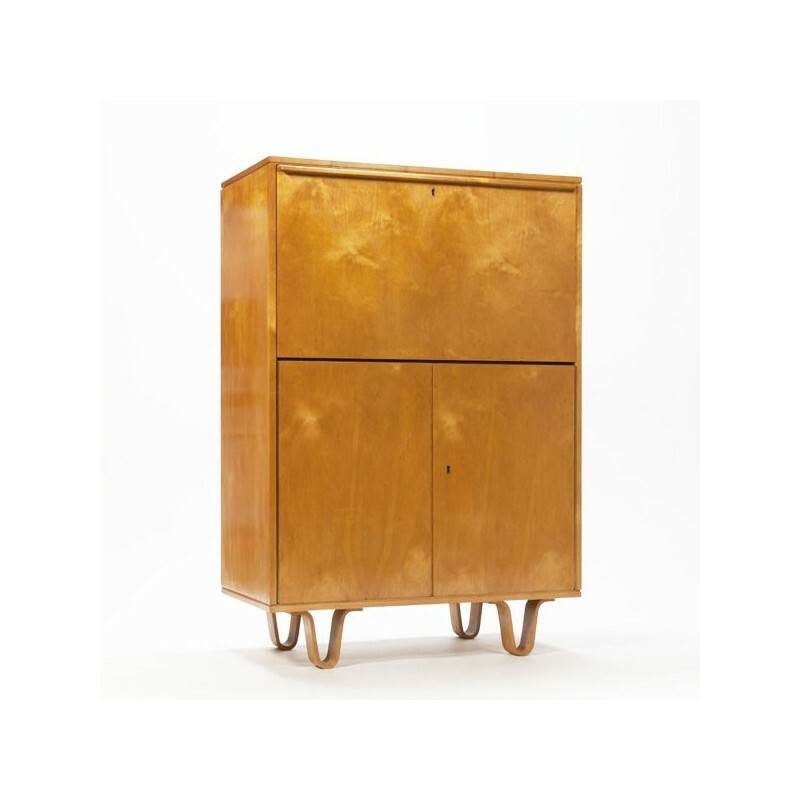 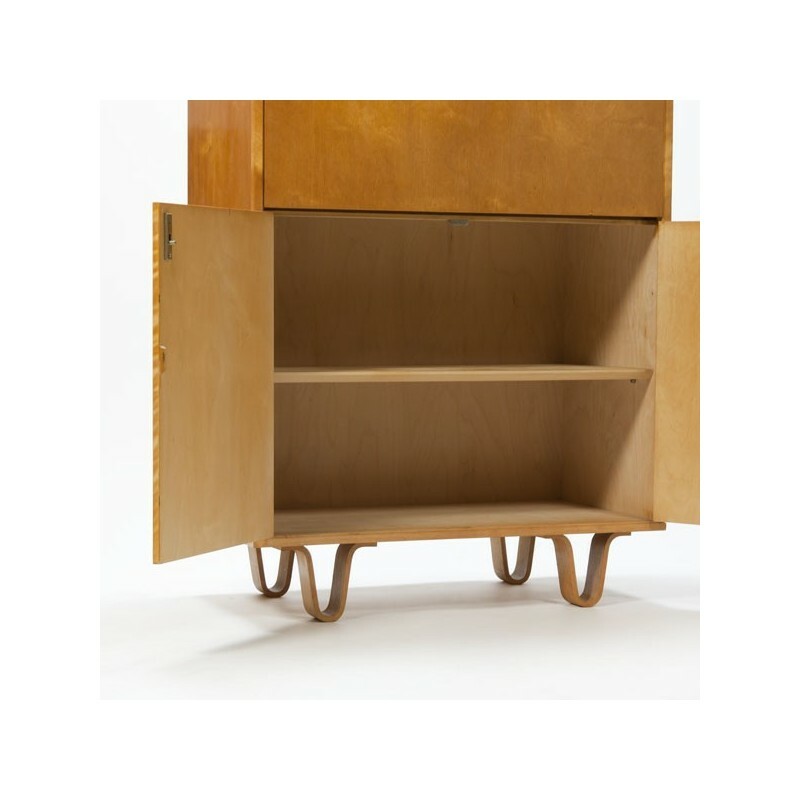 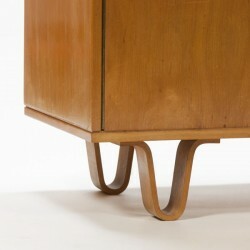 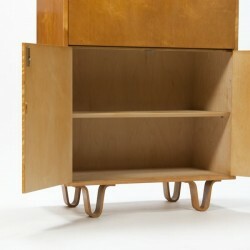 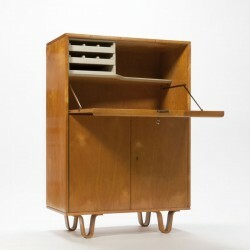 Beautiful Dutch vintage design cabinet. 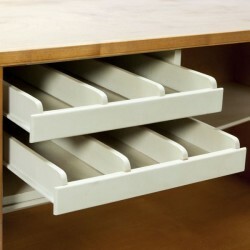 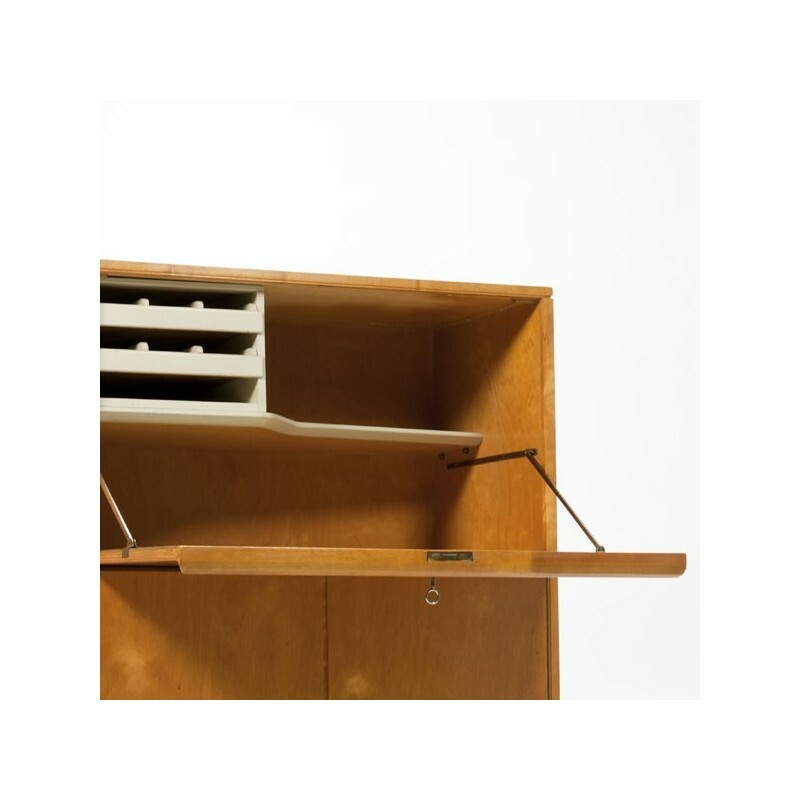 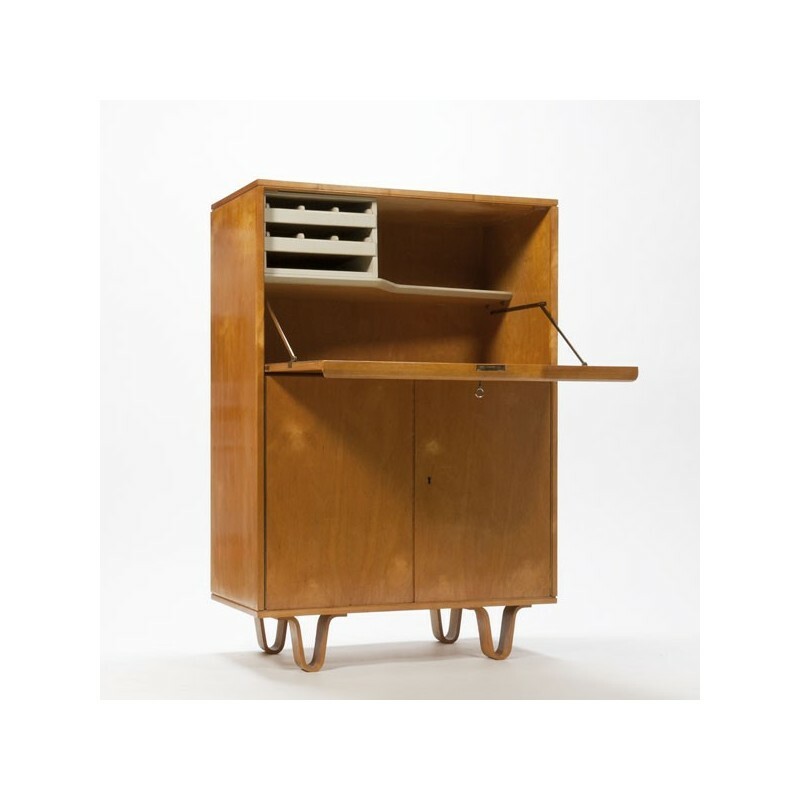 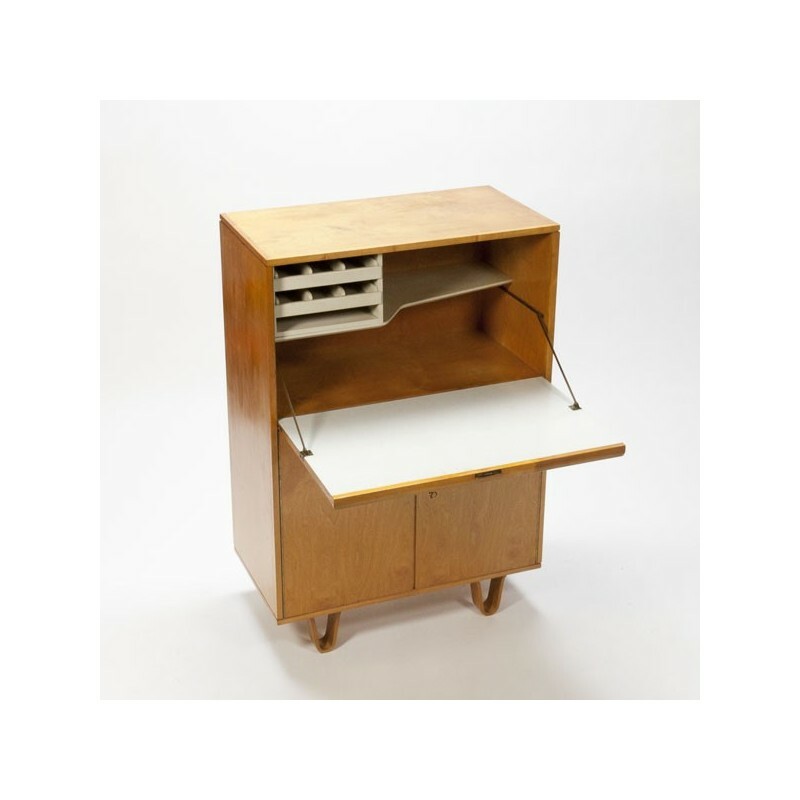 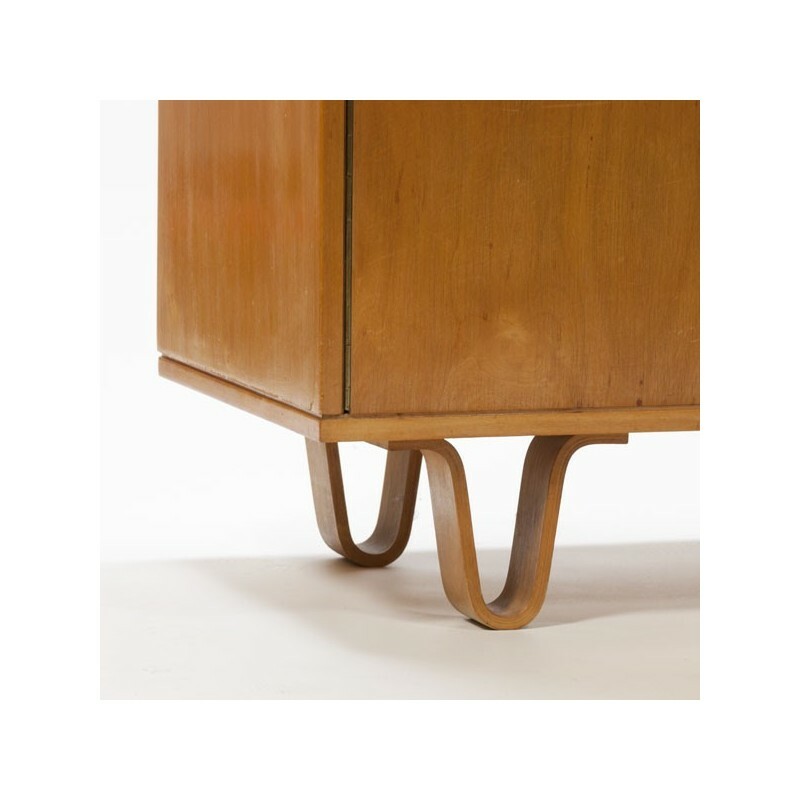 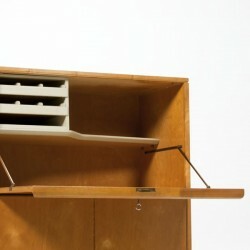 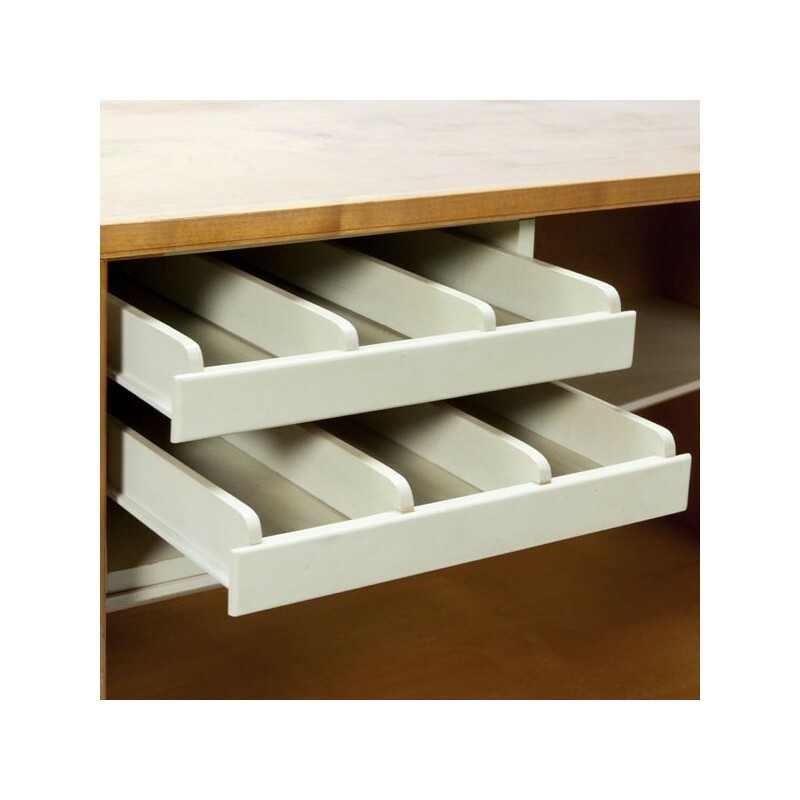 Part of the CB series with a fall front desk, designed by Cees Braakman for Pastoe in 1951-1952. 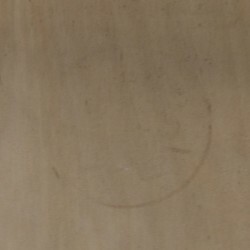 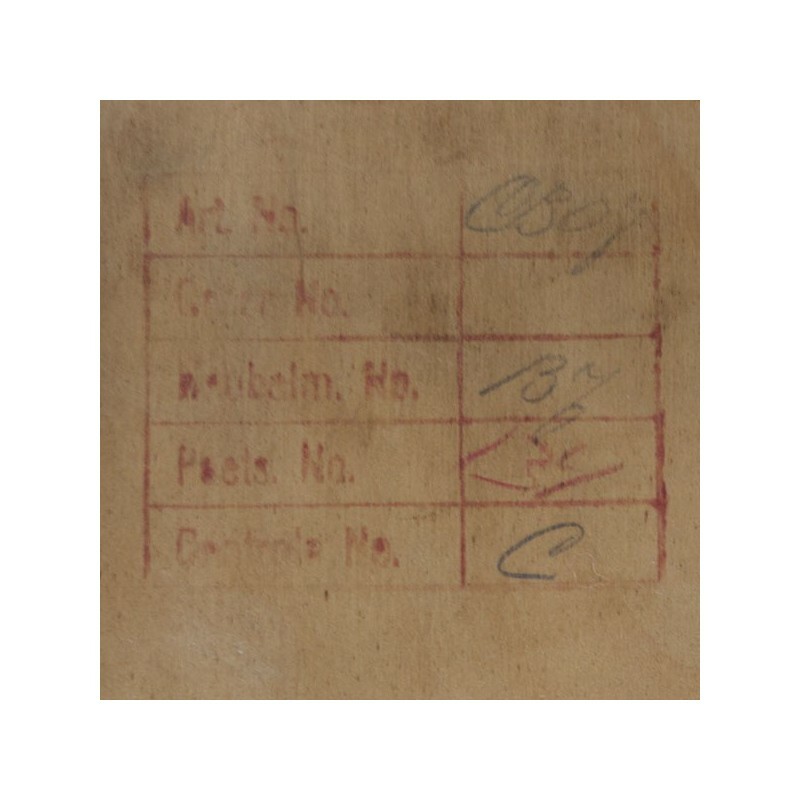 Marked with the manufacturer's stamp on the back. 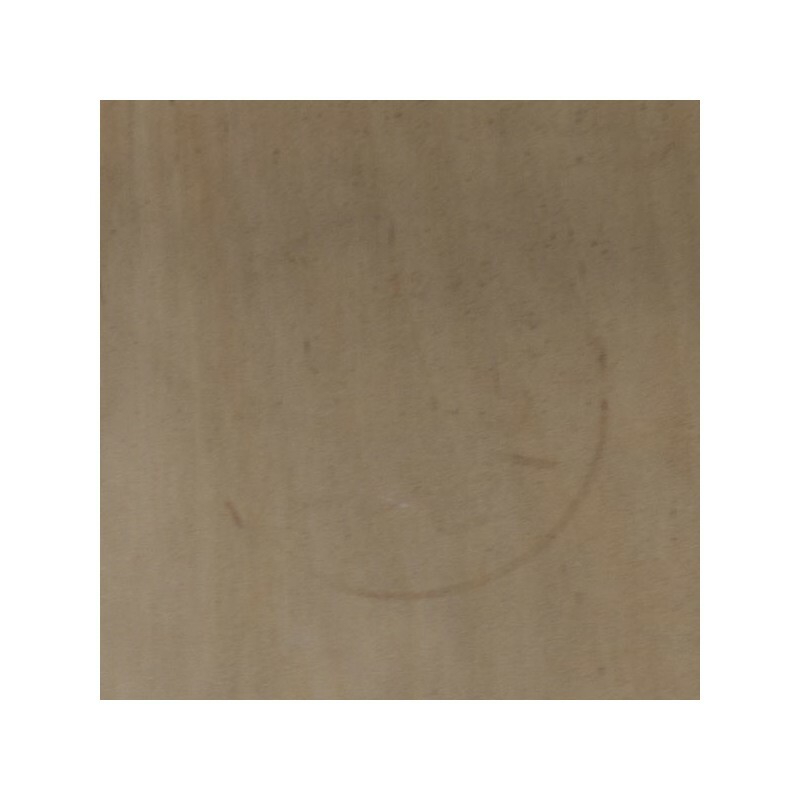 The condition is good, see detailed pictures. 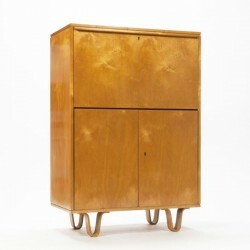 The dimensions are 119 cm H/ 81,3 cm W/ 43 cm D.